Date: Tuesday, February 10th, 1981. Location: Las Vegas Hilton adjacent to the Las Vegas Convention Center. Response: A total of 23 engine companies, 6 ladders, 2 snorkels, 9 rescues, 2 air cascade units, and 12 aircraft were utilized and over 450 firefighters battled the blaze. Building Profile: The hotel was the largest in the world at the time. 30 stories tall, it was constructed in multiple phases beginning with its central tower in 1967. The east tower opened in 1975 followed by the north tower in 1979. Each tower was subsequently built under differing building codes. At the time, the hotel had a total of 2,783 hotel rooms and was undergoing construction for an additional 400 rooms. Extent of Damage: The fire began on the 8th floor of the East Tower. Within 20 - 25 minutes, it had spread vertically to the top floor. Fatalities & Injuries: There were eight (8) fatalities and approximately 350 injuries as approximately 4,000 people were evacuated. Some reports state 242 injured based on hospital information. 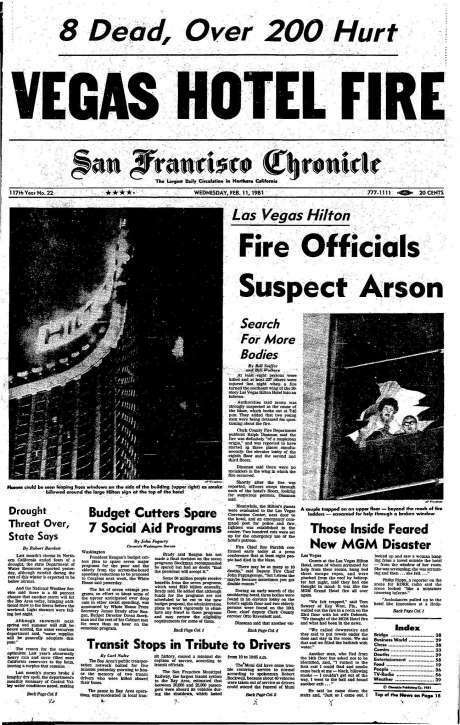 Cause: Arson committed by a 23-year old hotel room bus boy, Philip Cline, who initially called the alarm. He would be charged with eight counts of homicide and arson. Cline claims he had smoked marijuana laced with cocaine and dipped in PCP. With a lighter in hand, he lit curtains on fire. 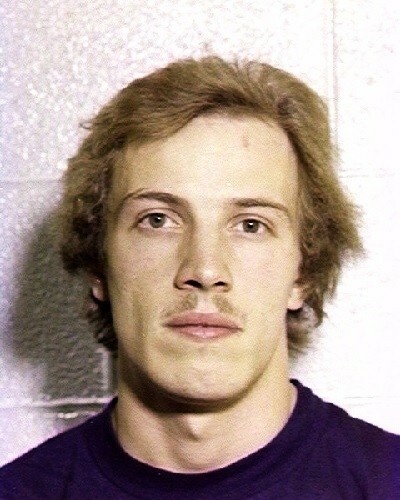 Cline was sentenced to eight-consecutive life sentences. Total Damage Cost: An estimated $10,000,000 in damages alone, though it's unknown what the operating losses totaled.